Buying life insurance is something that many people tend to push off at which point it becomes costly or is too late. People are afraid to talk about mortality and often feel that they are just wasting their money on life insurance. Unfortunately, the truth is many people leave their families with a significant amount of expenses that they cannot cover, and life insurance is there to protect them. So when is the right time to buy life insurance? When asked when the perfect time to buy life insurance is, the first thing most people think of is age. The truth with life insurance is simple, the older you get, the more likely you are to become ill and the higher your risk of mortality, so as you age your rates for life insurance will go up. The ideal answer to what age is the best time to buy life insurance is actually right after you are born. Policies can be locked in for significantly low rates for many years when your children are insured from a young age. But if you are here reading this, and trying to find the answer for yourself, that ship has already sailed. So that brings us to the next best answer which is right now. While the ultimate time to buy life insurance in your adult life is your 20's, it is never too late. Secure a policy as soon as possible before you age into the next age category. Debt is an important factor when deciding the need for a life insurance policy as well as the value you will need to take out. As you accrue debt throughout your life., that debt becomes part of what is referred to as your estate in the event of your death. When most people hear the term estate, they think of assets and property, but it also includes debt. When a loved one dies their assets will be used to pay off the debt they have accumulated before any of it is disbursed to the surviving members. If it is your spouse that passes, this could mean assets such as your cars and home are at risk of being liquidated if your spouse is unable to pay off the balance that is owed. It is crucial to protect your loved ones and make sure you have a policy that will cover all of your debt so your family is not left with a cost they cannot afford while dealing with the loss of a loved one. Many new couples and families rely on a two-person income to support their families and provide the life they have always wanted. This means that if one of the spouses passes away unexpectedly, the family will be left with a need. Sometimes the loss of one spouse's income is too much to overcome, and many families end up having to downsize or lose their family home. A life insurance policy can help cover the income that the spouse used to bring in at least for several years so that the family has time to make adjustments to be able to accommodate the future lack of income. 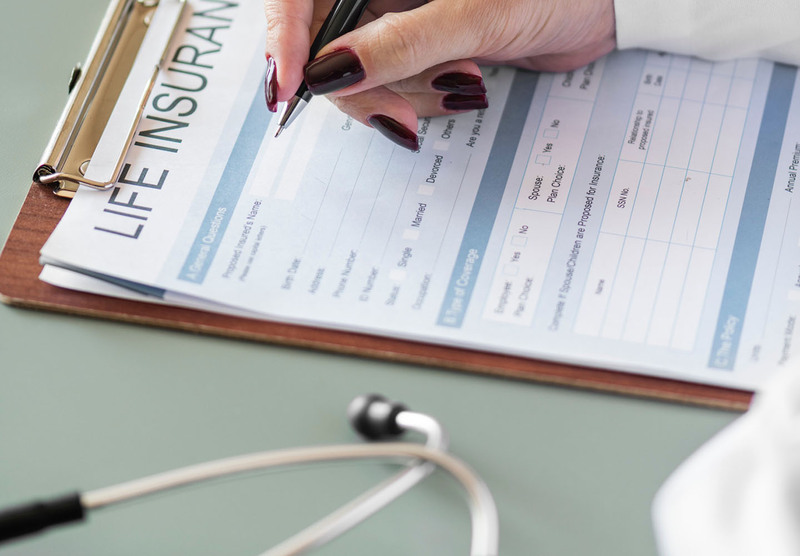 When determining the value of your life insurance policy, it is important to make sure that it will cover your salary at least for a five-year period. If one spouse is a stay at home parent, you may want to consider a life insurance policy as well to be able to compensate for the childcare and other expenses you will need to cover in their absence. The fact is that the longer you wait to start your policy, the higher the rate of premium you will pay. But life insurance premiums are not as bad as you may think and are often very affordable. Just remember that a little money each month can give you the peace of mind that your family will be taken care in the event of a tragedy.